Can Microsoft Crack the Tablet Market? Microsoft's Monday Mystery: A Tablet, an E-Reader? Microsoft has a "major announcement" planned for Monday when the software maker will announce its own Microsoft-branded Windows tablet, according to online reports. Speculation has been running wild about what the company has planned since Microsoft on Thursday invited the press to a special event next week. Earlier speculation said the software maker on Monday would show off tablets from its hardware partners running Windows RT, the ARM version of Windows 8. It's not clear if partner hardware debuts are still on the docket for Monday, but Microsoft is expected to spend time showing off its own tablet, according to The Wrap. If Microsoft debuts its own tablet Monday, it's unknown when the slate would launch or which version of Windows it would be running. Presumably, it would be a Windows 8 tablet since another touch slate using the mouse-and-keyboard centric Windows 7 is hardly something to get excited about. 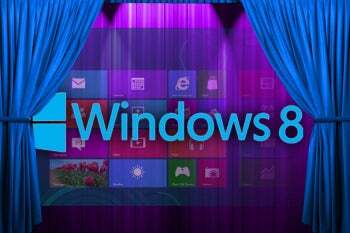 But any Windows 8 tablets introduced on Monday likely wouldn't hit store shelves for about another four months as Windows 8 isn't expected to launch until at least October. AllThingsD reports that Microsoft on Monday will show off tablets with both ARM- and Intel-based processors. Initially dismissed as a passing fad, one-panel touch tablets are one of the most popular consumer device types available. Well, that's not exactly true. The iPad is one of the most popular devices you can buy, and a bunch of other companies are hanging on to Apple's coattails hoping to get a piece of the tablet action. A recent report by online advertising firm Chitika said that more than 90 percent of the tablet Web traffic it sees comes from the iPad. It's reports like Chitika's that are inspiring critics to see a Microsoft-branded tablet as a direct play against Apple. Just like its longtime rival, Microsoft is looking to offer a device where the company controls both the hardware and the software to offer the best user experience it can. Is This The Best Play For Microsoft? Microsoft has proven, in sometimes spectacular fashion, that it is not great at producing and marketing its own consumer hardware. Microsoft's recent failures include bombs like the Zune media player and the souped up feature phone the Kin. These may have been well designed devices, but few people bought them in comparison to competing devices. Yes, Microsoft has had hits like the Xbox, Xbox 360, and Kinect, but a success in console gaming doesn't necessarily mean you're able to make a tablet that competes with the iPad. Apple is definitely lacking a strong challenger since Android tablets have largely failed to challenge the iPad. Windows 8 tablets may be the answer since they offer a different experience than Apple's tablet. But given Microsoft's spotty history with making popular hardware, the software maker might be better off to leave the tablet making to its partners.